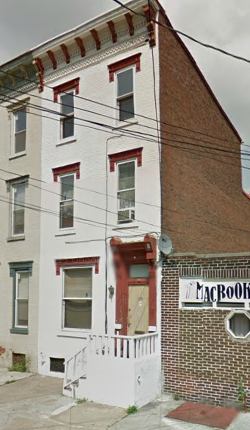 Today, the Allison Hill neighborhood of Harrisburg is regarded as a dangerous place, where gunshots ring out during all hours of the night and drug deals take place in the darkened alleyways behind rows of low-income housing. Local historians are quick to point out that Allison Hill- one of the city's oldest neighborhoods- was once the site of charming Victorian homes, magnificent gardens, and stately churches. Many of these historians, however, are not aware that Allison Hill's sinister reputation isn't a modern creation; In the early 1900s, Allison Hill was the site of one of the most intriguing unsolved murders in Pennsylvania history. A young girl's skeleton, a rusty razor, and chicken feathers. These were the items found in the cellar of home at 133 South Fourteenth Street, by plumbers who were digging in the basement of the building in February of 1915. The coroner, Jacob Eckinger, was summoned and immediately concluded that the girl had been murdered. Unfortunately, nobody in the neighborhood recalled a young girl ever having lived at 133 South Fourteenth Street since the home was built twenty-three years earlier. Even more strange was the fact that no girls had been reported missing. So who was this unfortunate girl and how did she end up in a cellar grave in Allison Hill? These were the questions which tormented Coroner Eckinger, as well as county detective James E. Walters and District Attorney Michael E. Stroup, who left no stone unturned in their investigation. Dozens of anonymous letters poured in, but these letters provided few leads. One of the more promising leads suggested that the body belonged to Bessie Guyer, a girl from nearby Mechanicsburg who had run away. This theory was later disregarded when Bessie was located safe and sound. The murder house as it appears today. 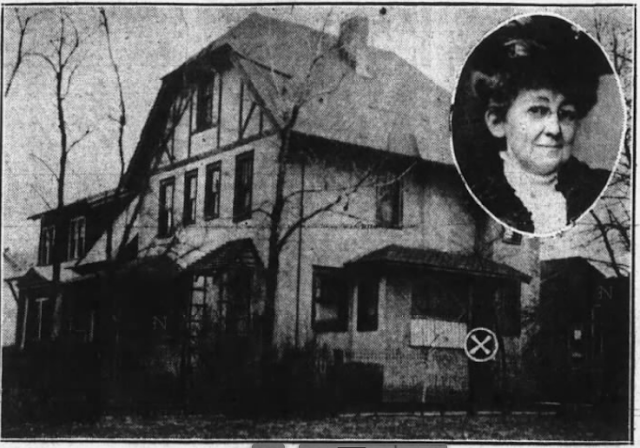 The history of Allison Hill's "House of Mystery"
The house at 133 South Fourteenth Street, which still stands today, was built in 1892 by a man named Engle, who sold it soon after to a contractor named Morris Strohm. 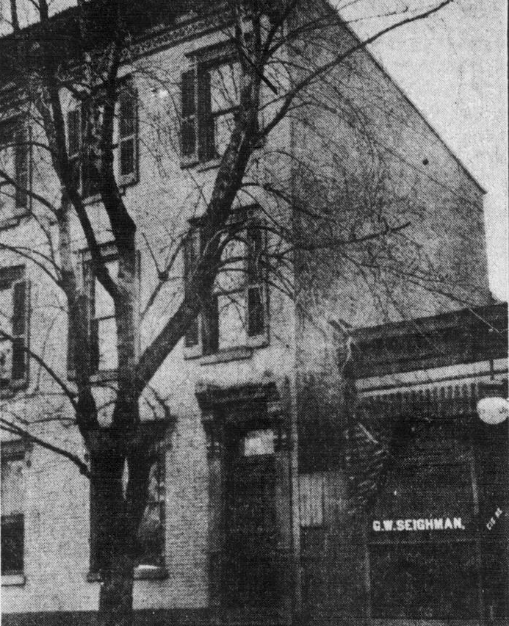 The following year Strohm sold the building to Milton Wagner, who owed the house until the early 1900s, when it was sold to Miss Minnie Burtner, who was the owner at the time of the chilling discovery. Like Wagner, Miss Burtner purchased the home as a rental property, leaving it in the hands of a landlord named B.F. Eby. According to city records, the home's first occupant was Dixon Kitzmiller, a railroad worker who lived there between 1893 and 1894. From 1894 to 1900 the home was occupied by another railroad worker, Charles Eberly. From 1901 to 1902, a dentist named Charles Ayres lived in the building. All of these men were questioned and then exonerated, but the authorities were suspicious of the family who rented the home after Dr. Ayers- a German family said to have strange habits, which included the keeping of chickens and geese in the cellar. R.C. Cashman and his workmen had taken four loads of mud from under the cellar steps in a wheelbarrow when they unearthed the bones. They found four or five vertebrae, several bones of the hands and feet, and fragments of skull. Next to a small clump of hair one of the men found a rusted razor blade and eight chicken feathers. The authorities believed that the feathers were an important clue and honed in on the German family who had rented the home in 1902. Unfortunately, all traces of the German family had been lost. It was said that the man of the house had worked as a laborer at the Boll Mattress Factory, but the Boll officials had no recollection of a German in their employ and, to complicate matters, the Boll company didn't keep records of its employees. "A thousand to one shot that the mystery will never be solved," stated District Attorney Stroup to the Harrisburg Telegraph on February 19th. "When you consider that the body appears to have been buried at least ten years and that half a dozen families lived at the house during the time the body may have been buried, and that no marks of identification have been found, you can see how indefinite the clues are that we must work on." On April 21, the Harrisburg Telegraph reported that authorities from Dauphin County paid $10 to Dr. E.L. Perkins to examine the bones, in the hopes that the physician would be able to uncover some bit of information that would help solve the case. But the bones told no tales and the investigation was put on the shelf. 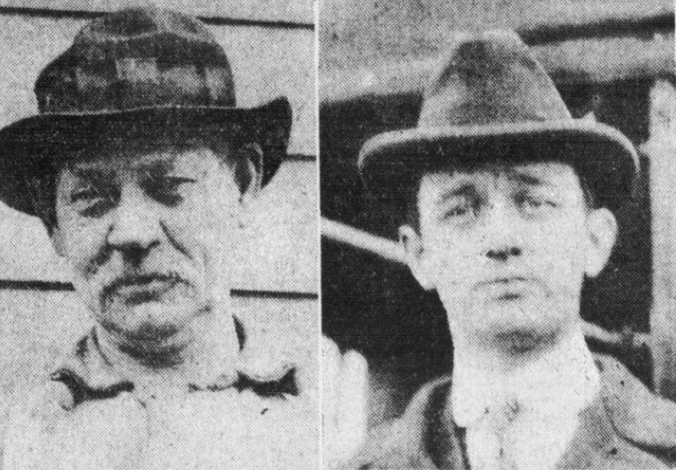 On May 24, 1915, the bones were buried and the unsolved murder faded from memory like the German family who once kept chickens in the cellar of 133 South Fourteenth Street in Allison Hill. Did you enjoy this article? 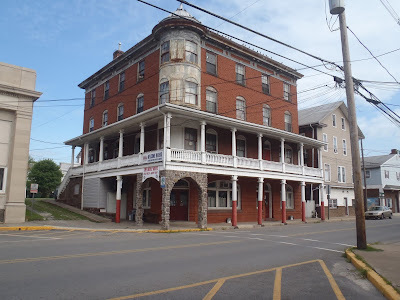 If so, then pick up a paperback copy of Pennsylvania Oddities, which features even more true stories of the strange from around the Keystone State, as well as more in-depth versions of some of the more spectacular stories shown on this blog. Only $14.95 and free shipping is available! Petrified Human Head Found in Mahanoy City!